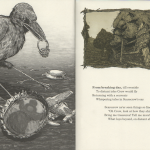 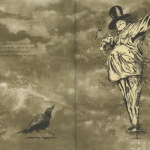 A lonely scarecrow befriends a crow, offering to trade seed for trinkets and tales brought tohim from beyond the fields and horizon. 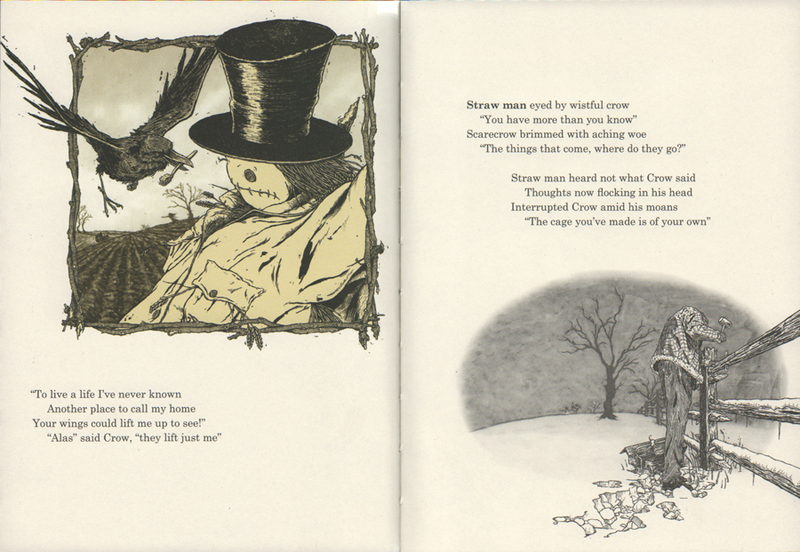 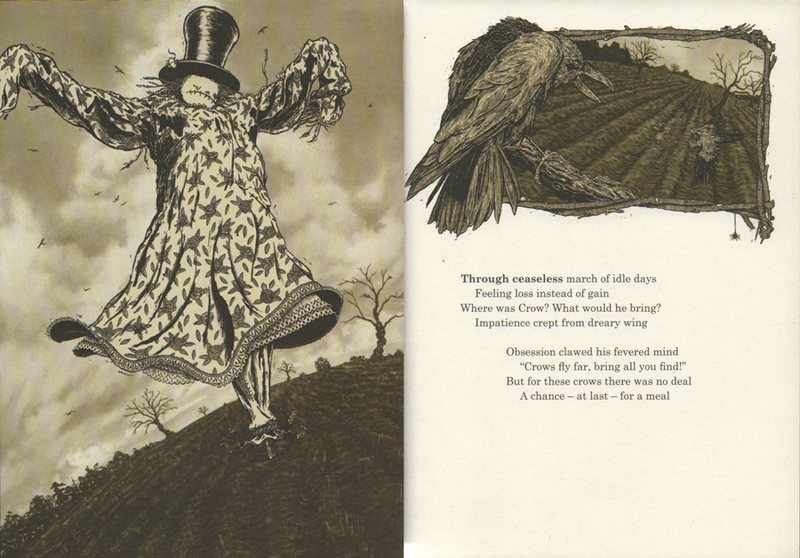 Yet far from him curiosity being sated, the scarecrow becomes obsessed by a life and world he’ll never know resulting in a dramatic conclusion. 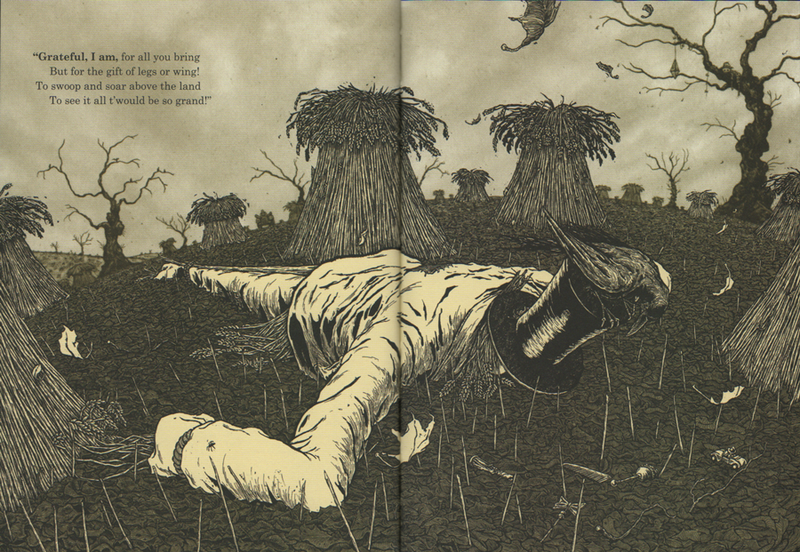 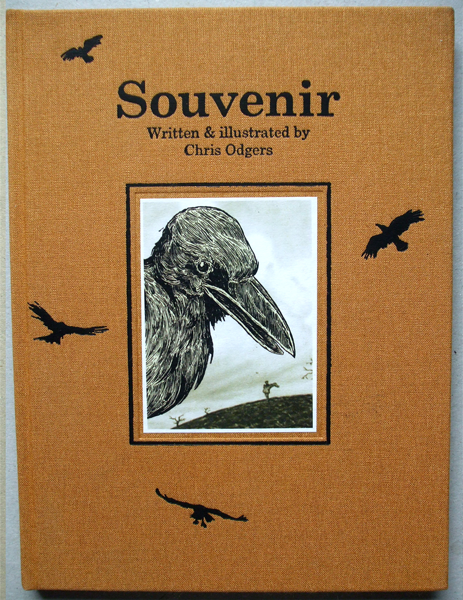 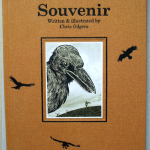 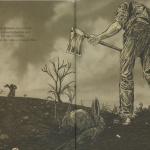 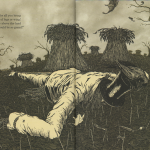 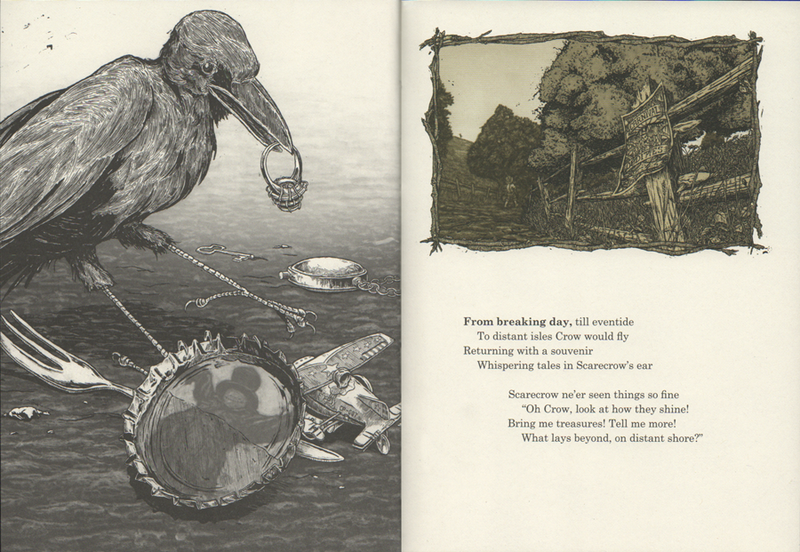 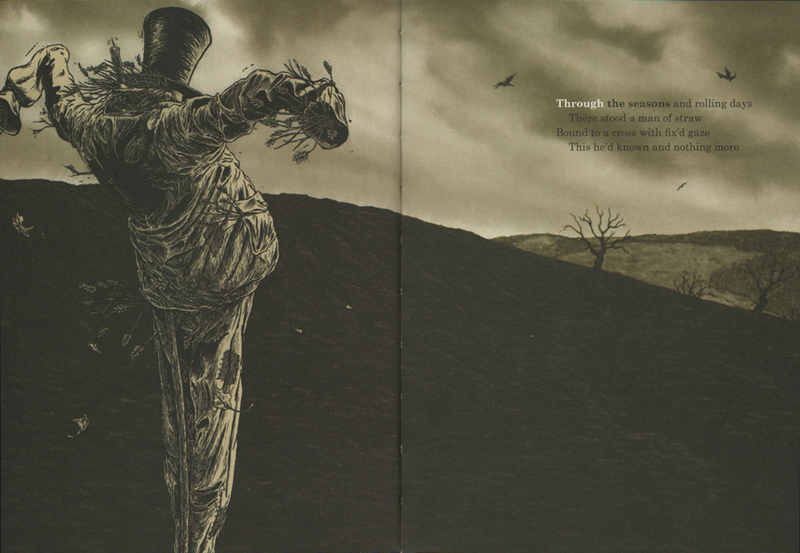 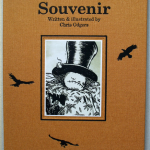 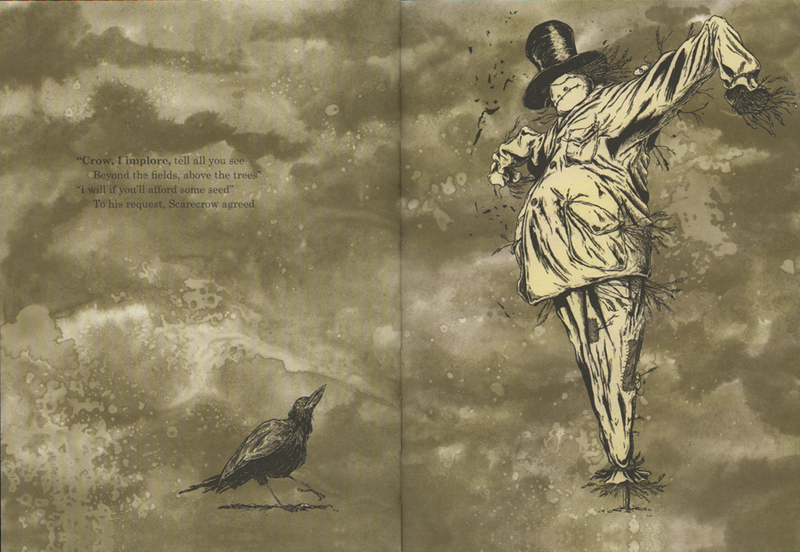 ‘Souvenir’ is a 36 page hard back picture book. 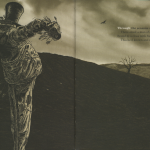 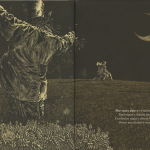 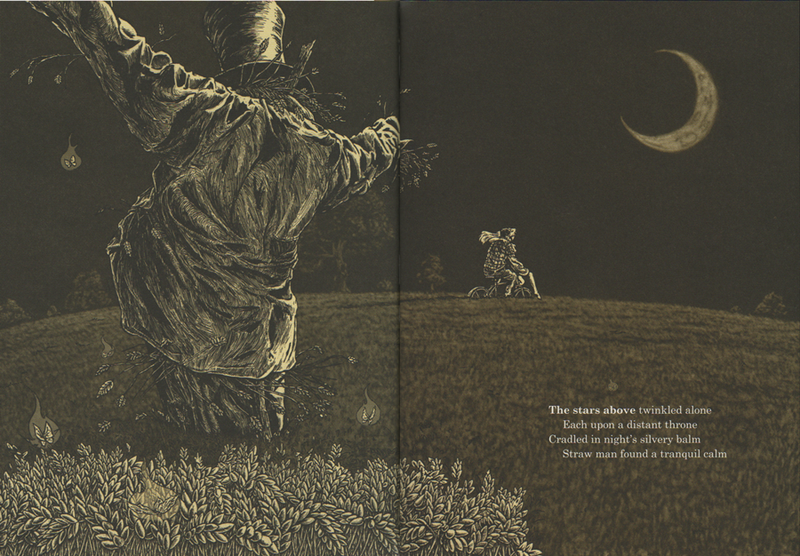 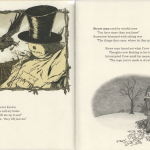 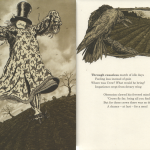 The standard edition is limited to 900 editions, split equally, 450 with a scarecrow image on the cover and 450 with the Crow. 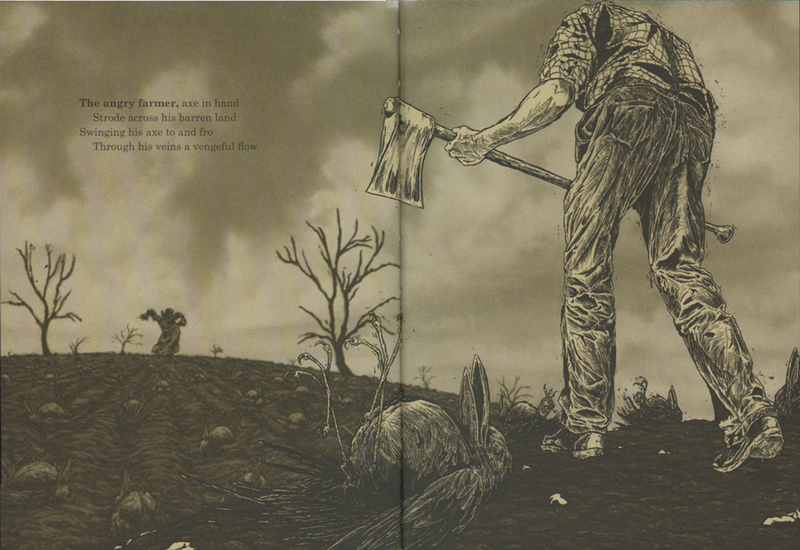 The 100 slipcased, signed and numbered, special editions are split in collectable covers. 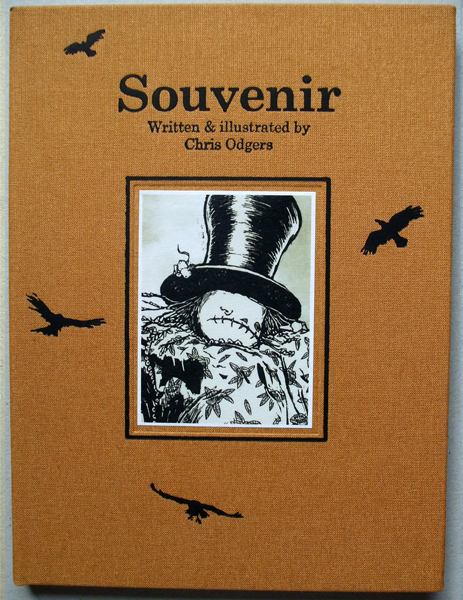 13 of which are the ‘Tiger’ special edition, signed numbered with a detailed large hand drawn illustration on the title page.